It’s that time of the year again! One Room Challenge‘s 6-week room makeover! I absolutely love participating in this challenge for so many reasons. It forces me to get my creative juices moving and get another room in my house finished! I love nothing more than a freshly made over room! It’s so much fun to me. Probably my most favorite thing to do! I have participated in 5 One Room Challenges so far and I always can’t wait for the next! This round we are making over our home gym and also making it into a guest room. 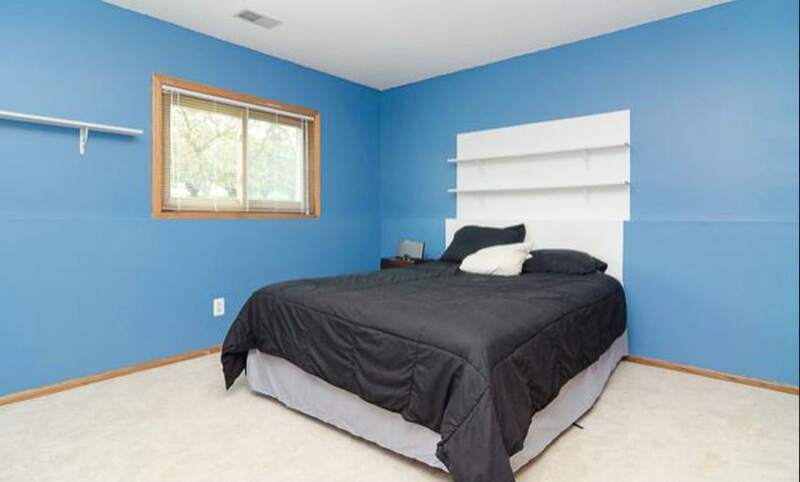 We have two rooms in our basement that we have used as guest rooms in the past. Originally our main guest room was also our office. 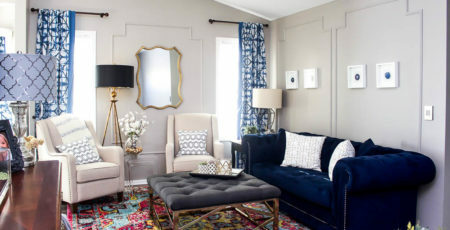 This room was also my first One Room Challenge makeover! 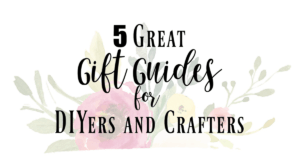 The more I worked on the blog and did projects I have found I needed a little bit more space. We decided to make the home gym into a more permanent guest room and then have the office be an extra bed if we have extra guests. Stay tuned for an update on the office! When we moved in I gave my husband free reign of this room. 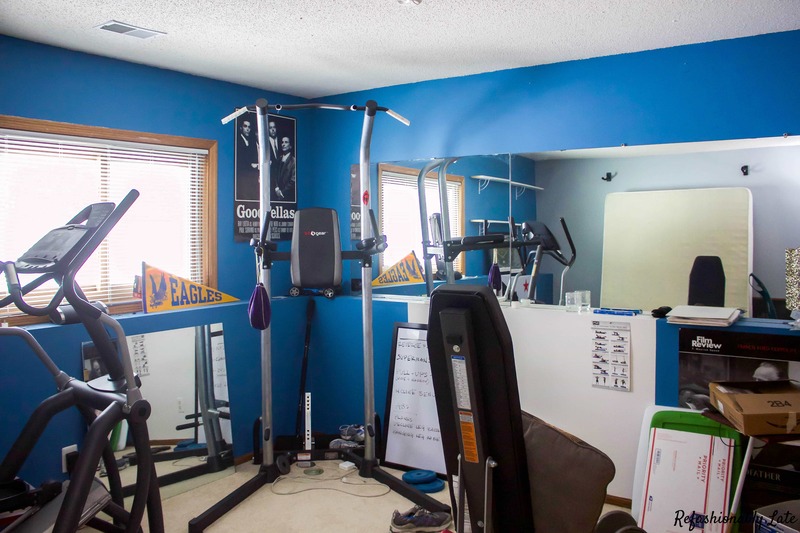 He put up all of his posters and awards and started collecting home gym equipment. We have not done anything to this room since we moved in except move a couple shelves around. I just let it go and let it be his. Until now…. Ha! I can’t wait to share the progress of this room with you! 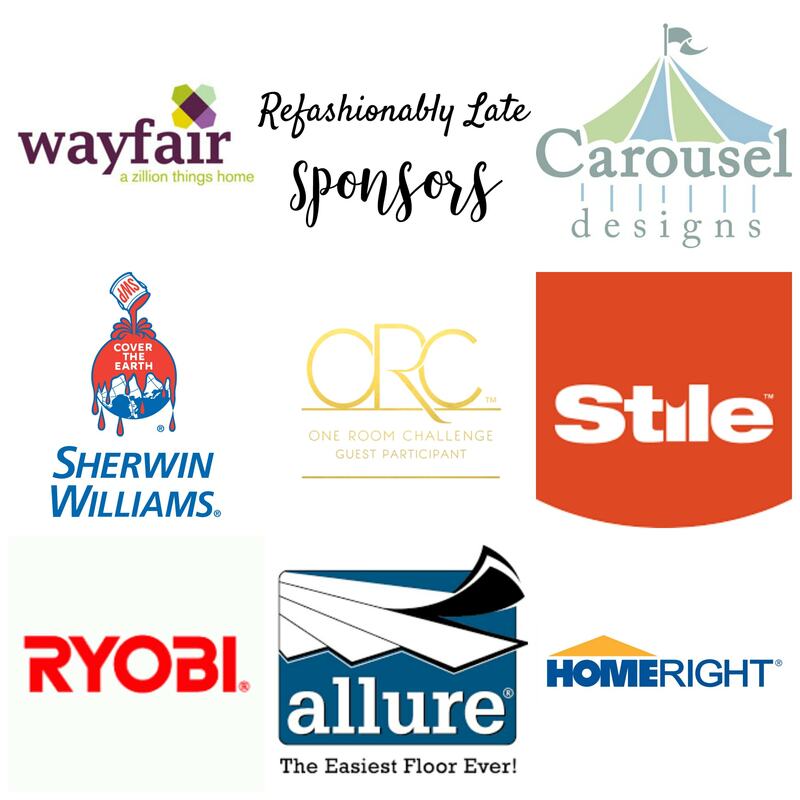 Don’t forget to check out the rest of the participants for this round of the One Room Challenge! Happy Wednesday! This is going to be great- can’t wait to see how you create a multi-use space. Thanks Monica! I’m really excited to see how it all turns out! I can’t wait to see how this turns out! My hubby would love a room like this one. Yeah my husband is bummed to get all his things removed but I think he’ll enjoy the room so much more once it’s finished! 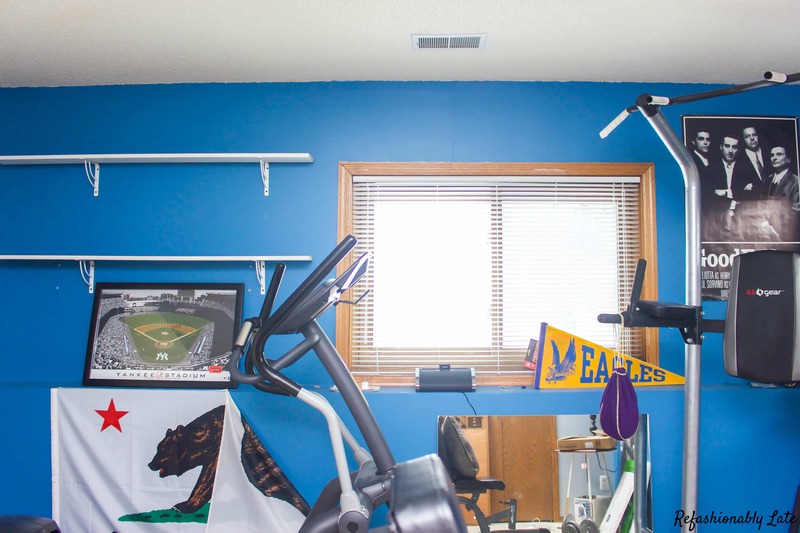 I can only dream of having a gym room! Can’t wait to watch the transformation. this is going to be such an amazing transformation. so excited to see it come out. 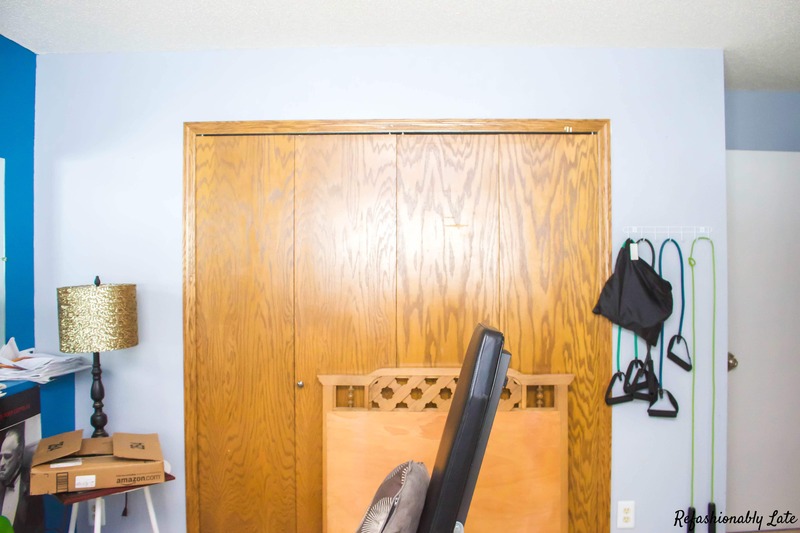 Wow Ruthie, I can’t wait to see how that Murphy bed turns out! I saw some projects on them recently and they seem quite do-able. Good luck and looking forward to following along! Thanks Tee! I’m a little nervous to do the murphy bed but so excited at the same time! I can’t wait to get that project going! Thanks so much Susie! I’m so ready for this room to change! I can’t stand the current status of the room! Ohhhh… that blue wall is bright! lol. I love your plans though! 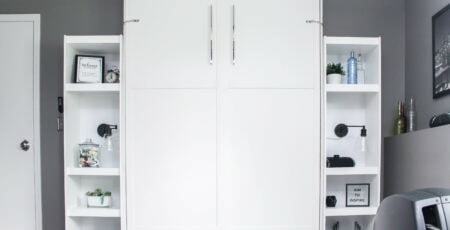 Such a good idea to make this space multifunctional like you’re planning. Can’t wait to follow along! Haha! I know the blue wall is bad! I can’t wait for that to be gone! Wow! This is going to be a fun one! I can not wait to see how it comes together!! Thanks I’m anxious to see how it comes together too! ha! oh my gosh this is going to be an amazing before and after. Can’t wait to see it come together. I can’t wait to see your room! That’s a lot of gym equipment to work around! I know that you’ll make it look fabulous! Ruthie – your design plan is great. We can’t wait to see the Murphy bed! So excited to follow your progress! Thanks, ladies! I’m really excited to get this murphy bed built! You speak my language when it comes to multi-functional spaces! My house is full of them but I’m sure they aren’t as nice as what you’re going to transform this space into! Can’t wait to see your makeover! You’re so sweet! I can’t wait to follow along with you! I love redoing rooms and this one is definitely a little out of my comfort so I’m really excited to tackle this! love these one room challenges. First gym room I have seen being done. Looking forward to seeing the end results. 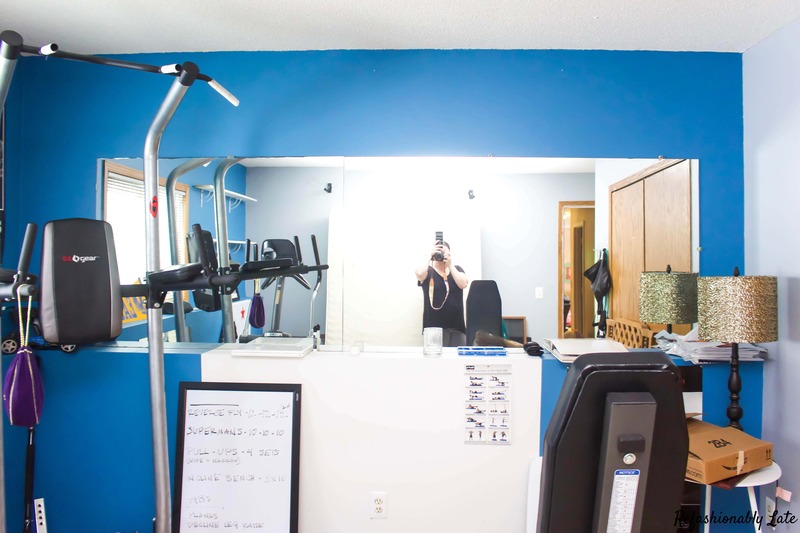 Wow I am so excited to see your home gym project this season. It is something on our to do list when we get to our basement build out, so I will be looking to you for inspirations! Good Luck! Hopefully I can provide some inspiration for you! I’m just praying it all works out! Ha! Love you designs for this multi-purpose space! It’s going to be amazing. 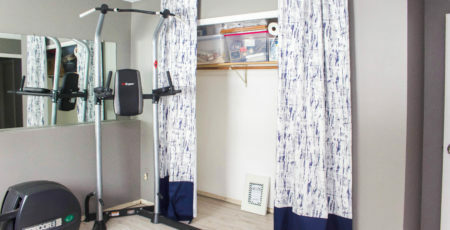 I am also doing a home gym! You have quite a challenge with the multi use room! Excited to watch your progress. I am so excited to see what you do with your space!! I love your slogan by the way! Nap time is gold am I right?! We are making over our laundry room for the ORC! Best of luck to you! 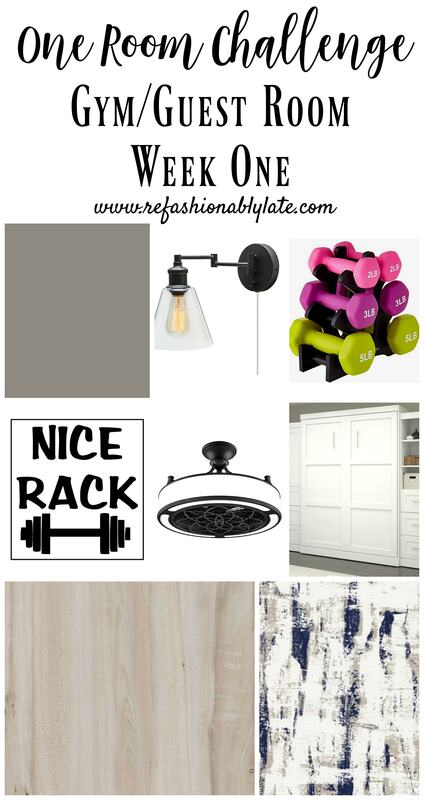 I love what you have planned for your laundry room! Nap time is precious, precious time! That is for sure! Just paint is going to make a huge difference. These are going to be some great before and after pics! Haha right?! The before pics are pretty awful! this is going to be such a fun room to watch unfold! 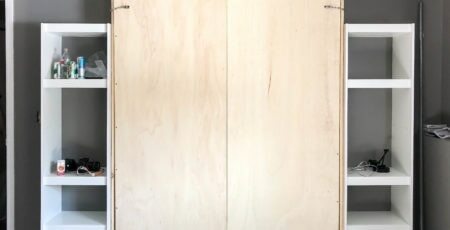 I can’t wait to see how you build the murphy bed – such a great idea! Thanks Jenny! I’m anxious to get to work on the murphy bed too!! First of all, I can’t believe you’ve done FIVE ORC’s!! and they’ve all been fab! 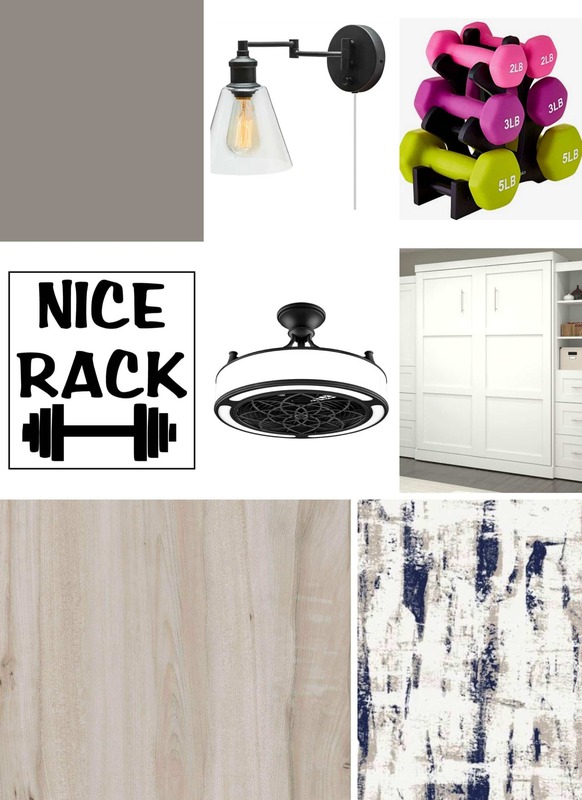 Secondly, I love that you’ll have a guest room and workout space together – so smart! Love the art and can’t wait to see this come together! Thanks so much, Rachael! I can’t believe I’ve done so many ORC’s as well! I don’t think I’ve ever seen anyone tackle a home gym for the ORC. Excited to see your transformation…especially since it’s a dual purpose space! Thanks, Jessica! It’s been a fun and different challenge for me!